Jane has recently joined the The Autism Support Project. The Autism Support Project was set up in 2013, by Linda Beaver from the Newtown Homeopathic Centre in conjunction with the Aurum Project. This initiative was in response to the increase in ASD children and because parents are searching for answers in natural therapies. To book an appointment with Jane to discuss homeopathy to support autism, please click here. Dr Tinus Smits pioneered research into support for children with autism diagnosis. His methodologies are widely used by children and adults around the world. Click here to learn more. The Aurum Project is an Australian charity dedicated to improving the health and wellbeing of children through natural medicine promotion and research. 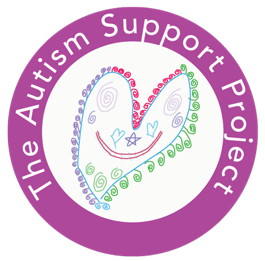 The Aurum Project are behind The Autism Support Project and have a Recognised Autism Support Practitioner Search feature on their website. To access this or learn more, please click here. The Golden Book is a fundraising book published by The Aurum Project. It is full of well-loved ideas from real mums and dads, recipes, health tips and rainy-day activities. When we asked parents to share their favourite hints, we were given a lovely insight into what happens in the home at the coal face of parenting. The ideas which are most loved are the ones that just really work or are quick and easy. So, while this is certainly not a complete manual about cooking for children nor a complete ‘How to Raise a Healthy Child’ book, there are lots of useful ideas and ‘best tips’.